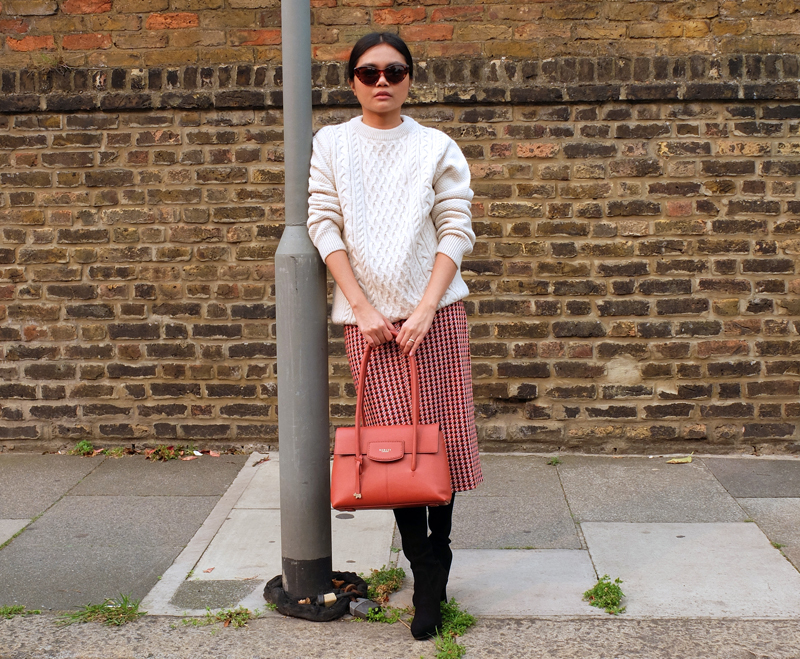 If head-to-toe red à la Max Mara F/W 2017 is just too much for you, a great way of incorporating this trend is by working them into your accessories. An all-black look teamed with wine-coloured sock boots or a grey coat accented with a crimson pashmina are both quick and easy ideas to update your everyday outfits for the season. 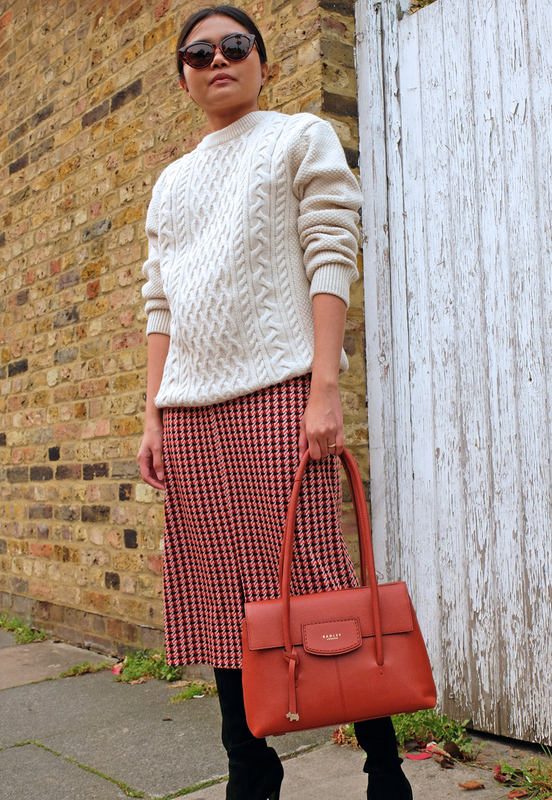 Alternatively, you can opt for a red bag to add a pop of colour to your look. 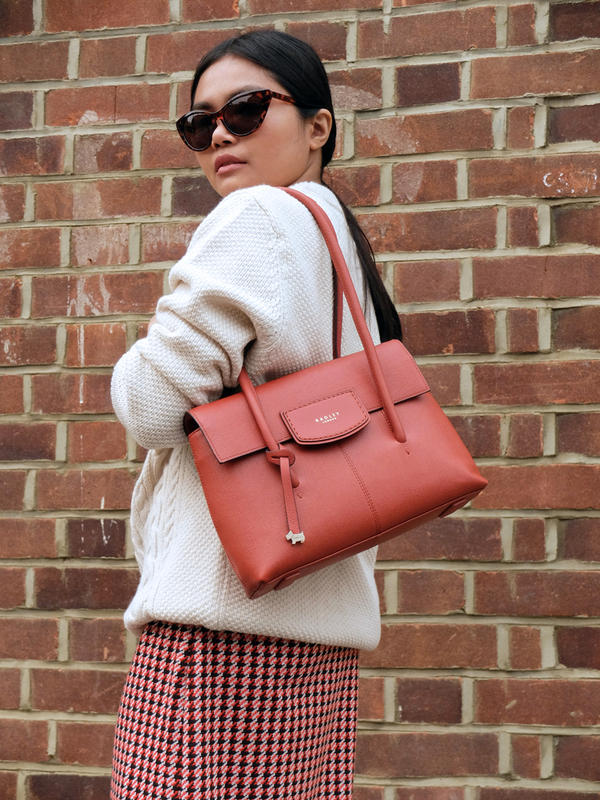 This leather tote is new from Radley London and is the perfect addition to my existing handbag collection of basic neutrals. It has long shoulder straps so I can be hands-free and is roomy enough to hold all my daily essentials. Plus points that it's in the most gorgeous paprika shade! 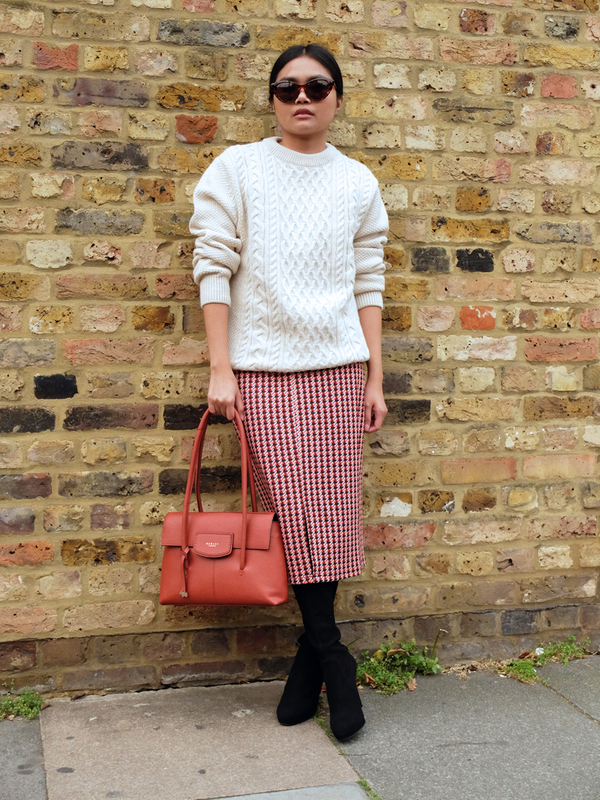 I wanted to inject another red element into my outfit so I selected this houndstooth dress and wore it as a skirt under this oversized cable knit sweater. 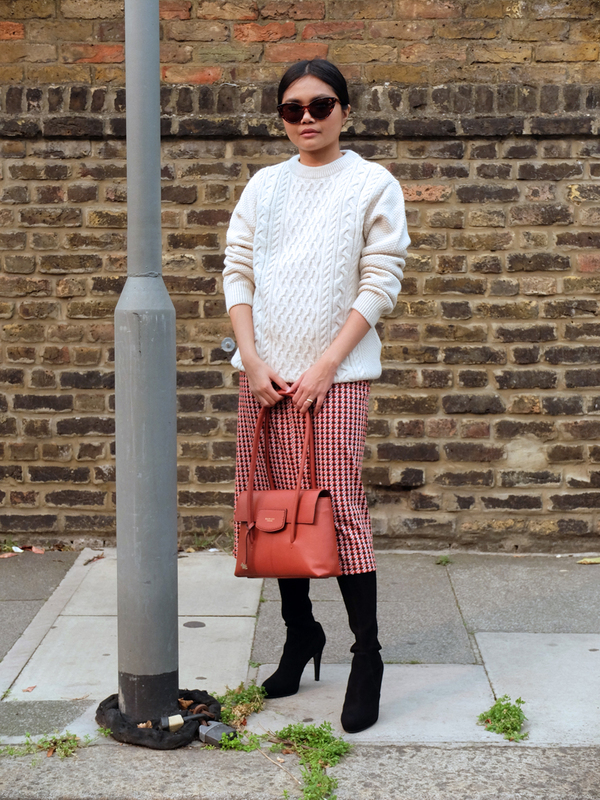 Topped off the ensemble with slouchy knee-high boots for a cosy Autumnal look. Loving this look! You look so elegant and classy.